North Boulder Creek pours over Boulder Falls fresh with runoff from melting snow above. North Boulder Creek has to navigate not only Boulder Falls at this location but also a tight rocky chasm that is almost tunnel like. 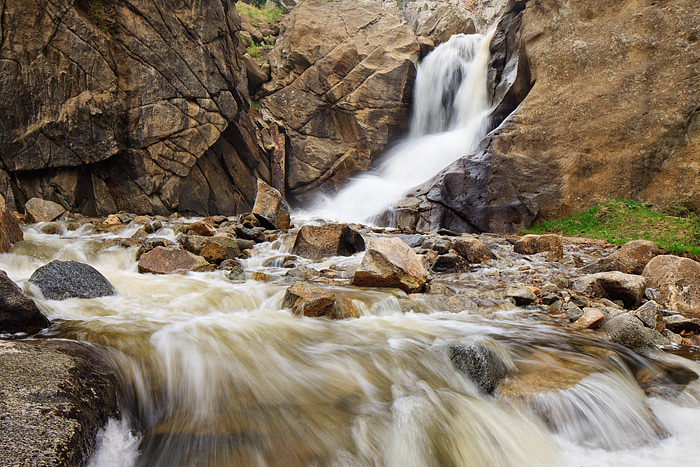 The geography around Boulder Falls makes it a favorite location to photograph the creek and falls. Photo © copyright by Thomas Mangan.